I regularly attend magic conventions throughout the year bringing Zane's Magic Shop with me. 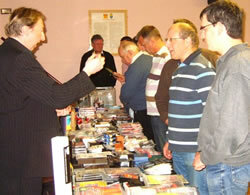 I bring an almost full range of stock and am happy to demonstrate any of the tricks and illusions to customers. 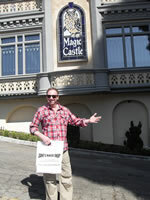 'The Magic Castle' in LA! 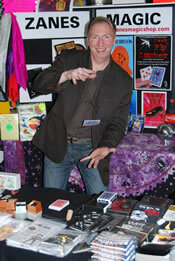 I also give dealer dems at magic society throughout the uk, where I will demonstrate and explain a selection of various tricks we sell here at Zane's Magic Shop. If you would to have me come and perform a dealer dem, please contact the secretary of your local magic society and have them contact me.